Last time we reported about the launch of Samsung Z4 in India and we all know that it is the first smartphone to ship the newest version of Tizen out of the box. Although the device is only available in India as of now, there are rumors of Samsung wanted to launch the Z4 globally. Samsung Z4 is not the kind of device that the would blow your pants off, but it has features that are similar to Android, a cleaner version of Android that is, with some modern Firefox OS looking icons which is a good news for people who doesn’t want to join the Android and iOS clan. 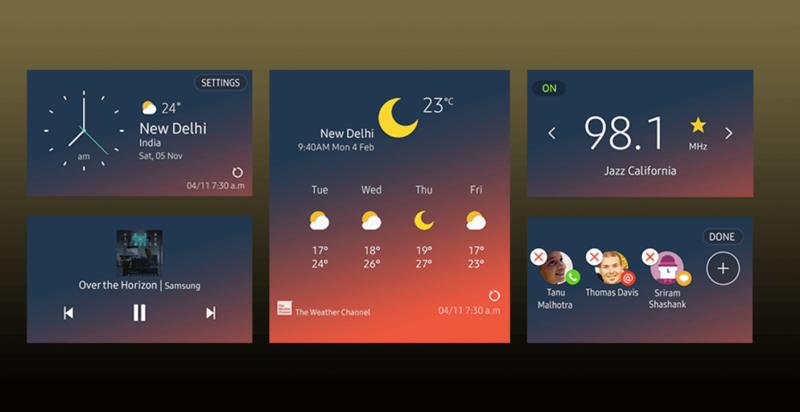 Tizen 3.0 contains a new set of colorful themes and fully redesigned minimal looking rounded icons that is clean and lighter than of the previous versions of Tizen. The widget layout is also redesigned to look more modern. 2D and flat icons in the theme style are coming soon, according to Samsung. My Galaxy Stories is an app that will automatically change your wallpaper every third time you turned your screen on. The camera beauty app will give you an option to enhance your photos, just like on an Android device. You can tweak your skin tone or make your face look slimmer or your eyes look large. Yes, this doesn’t sound like a good idea, but Samsung included it on Tizen 3.0. Tizen 3.0 also features a dual profile for SIM dependent apps. This will help you manage two different accounts of the same application in one device. Tizen 3.0 also adds the ability to share Tizen apps from Android or Tizen devices to another Tizen device. Bixby is not yet ready for Tizen-powered devices but it’s the latest version adds an ability to understand simple voice commands that will help users perform simple actions a little bit faster. As we said a while ago, Tizen 3.0 will debut on Samsung’s latest Tizen smartphone, the Samsung Z4. Samsung Z4 will be first available in India for Rs. 3,990 before it went globally available.